"awesome doctor would recommend to anyone looking for an Obgyn." "She has a wonderful staff and she really goes the extra mile." "A very caring doctor. She is busy, but takes time with each patient." "I've been a patient of hers for 5 years, she is a wonderful physician and person..."
"Dr Beck-Torres is a great doctor, knowledgable as well as personable." Health Solutions is a medical wellness practice in Wellington, Florida with a diverse range of services for both men and women. 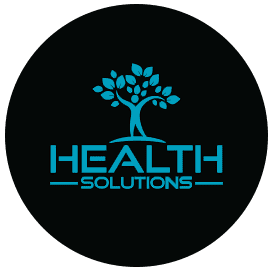 Led by the expertise of our providers, Health Solutions offers a broad spectrum of medical care designed to help patients achieve balance and health in their minds and bodies. The practice enables patients to navigate problems and solutions that have to do with weight loss, hormone replacement therapy, IV nutrient delivery, obstetrics, gynecology, menopause, and more. Our doctors pride themselves on patient-centric service: That means we always consider your individual needs, goals, and desires, and create a fully customized treatment plan to meet each of those concerns. You’ll find the most advanced health solutions and a caring, supportive team to help you reach an optimal state of health. With strong local ties to the Wellington area, Health Solutions is proud to be associated with Wellington Regional Medical Center and Palms West Hospital. The place is here, the time is now. Let us help you achieve your peak performance. "Dr Beck is wonderful I have been going to her for many years... She is amazing, caring and honest and her office is family run." "I love her! She makes me feel so comfortable and she is very accommodating! She delivered my baby boy Colton and The Whole experience was the best ever!" "Doctor Beck is my doctor and my daughter's doctor for over 13 years, I have no complaints about Dr. Beck-Torres service, she goes above and beyond with her patients."